Sachets of Vitamin C Zooki, Citrus Orange, 1000mg of Liposomal Vitamin C per 15ml sachet. Vitamin C – a Vitamin that our bodies can’t make or store, yet underpins several fundamental body processes and serves as one of our most powerful antioxidants. 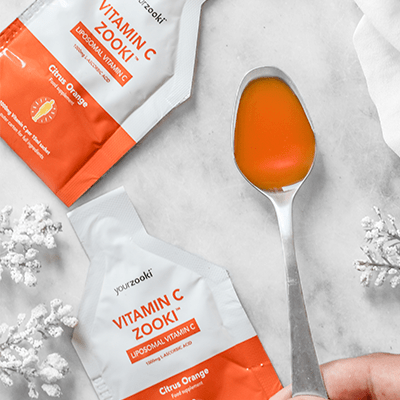 Vitamin C Zooki gives you Vitamin C in a way that you don’t just absorb really well, but one that will deliver Vitamin C directly into your cells. 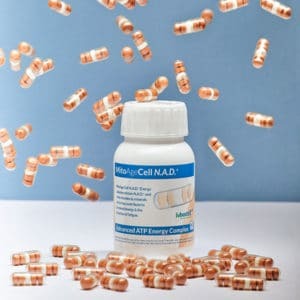 It can very quickly have a big effect, and is made possible by wrapping Vitamin C in something called ‘Liposomes’. Liposome encapsulated Vitamin C protects the Vitamin C as it passes through your digestive system, preventing it from damage and digestion for effective delivery into the bloodstream – increasing absorption and preventing waste. 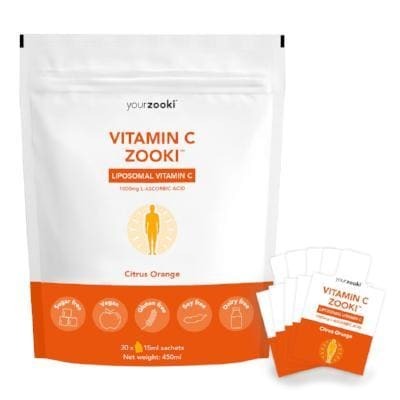 Vitamin C Zooki sachets provides the most potent form of Vitamin C in the most convenient way possible, allowing you to take Liposomal Vitamin C on the go straight from the sachet. 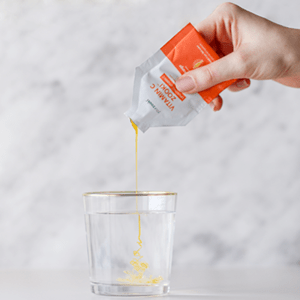 HOW DOES VITAMIN C ZOOKI WORK? Humans can’t produce or store Vitamin C. All the Vitamin C we need we have to get from our diet, and because we can’t store it, we have to replenish our blood with Vitamin C every single day. 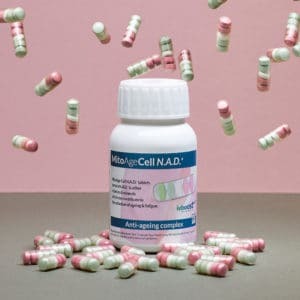 The problem is, when we take Vitamin C orally, it has to go through our digestive system – hardly any of the Vitamin C actually makes it to our cells. To combat this, Zooki utilises a patented liposomal encapsulation process to wrap the Vitamin C in ‘liposomes’. Liposomes shield the vitamin C during digestion, and accelerate the absorption and delivery of the Vitamin C into your cells. 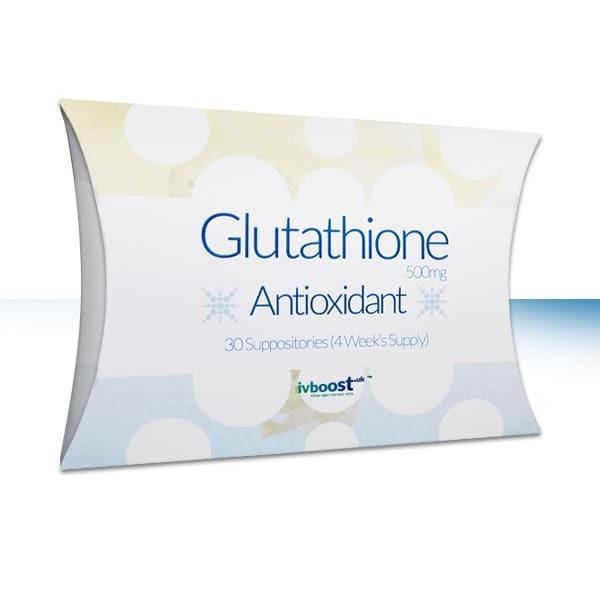 To support the skin take one 15ml sachet per day. For immune system support take two 15ml sachets. 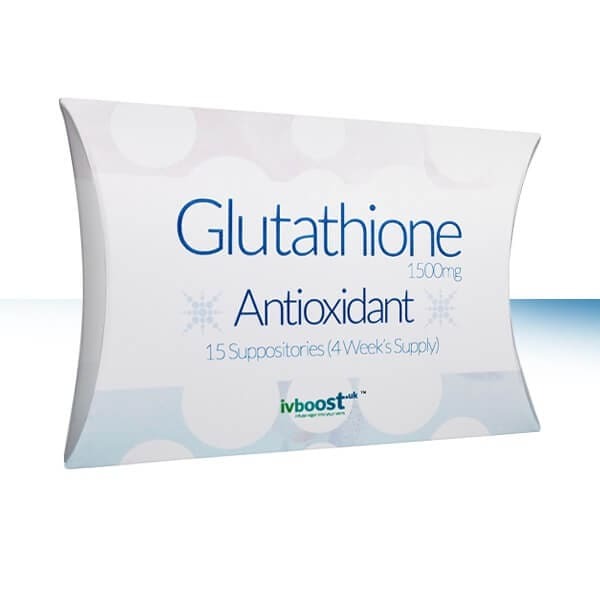 For a general daily boost take one 15ml sachet daily.